one of the things i appreciate most about this project is how it has challenged me to be honest and transparent, with myself, and with others. and i figure this black love project should be no different. about honoring and speaking my truth. and the truth is: i kind of hate the work i produced for this project. i feel the need to follow that statement with an “lol,” to dodge the pain and the truth of it. but that is the truth. and the truth is that this is the first time i've felt this way about something i've created for radically tender. i had this big, grand, vision for what i would produce here, with my photography, and this project is not it. sad, right? well, i feel a little bit sad about it. a little disappointed. a little ashamed. i’m still having a difficult time scrolling through the photos i have made, to be honest. 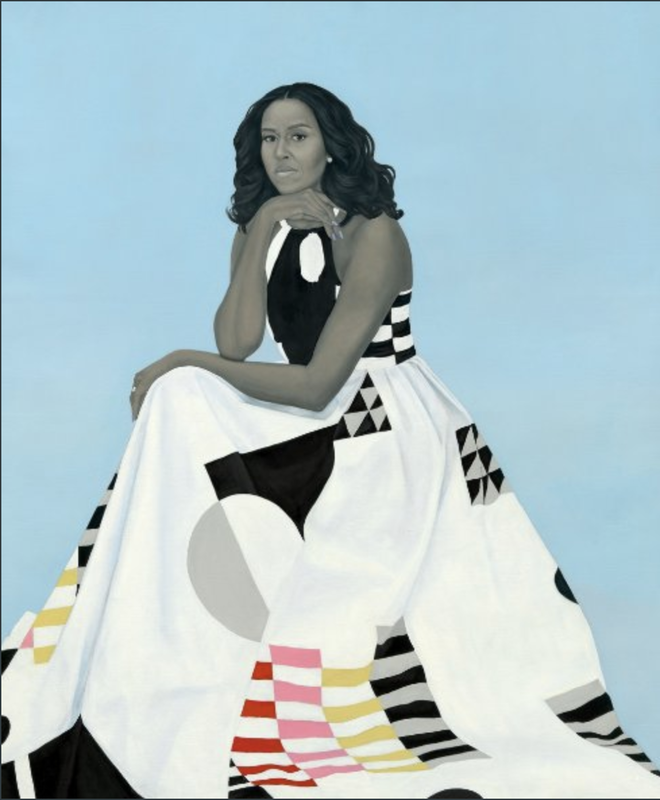 and it’s maybe a bit ironic, because yesterday i was staring at the work of amy sherald and kehinde wiley over and over and over again. and i felt like crying. every single time i saw them. every time obama’s face stared back at me, surrounded by all of the brilliance of the places he’s loved. every time i looked at michelle - at her power, her unequivocal beauty, her confidence. it all nearly brought me to tears. all of the ways that these portraits said "unapologetic" again and again and again. that is the kind of art i want to produce. art that moves. art that reflects. art that is honest. and, for the most part, i think my work for this project fell short. i don’t say any of this for pity or condolences or affirmation of my work. seriously. but i am saying this to be really transparent about my process, and about what i continue to realize about the point of it all. i can recite a laundry list of all the things i hate about what i created. why my photography falls well short of my vision. why i considered, many times, scrapping it. why i had this feeling of anxiety every single time made a photo in front of basil’s stunning quilt. with some equally stunning black humxn sharing the stage. all of the questions i've asked myself about my capacity to do this work: to be a photographer, an artist, a creative. but that’s not the point. or, that's not entirely the point. and it reminds me that even when my work falls short of my expectations, that i must consider whether my expectations are the only things that matter when creating something that might help us find our way. i think the answer is no - and that it's really, really, really not about me at all. but, rather, about the people who chose to participate. and those who choose to engage. it’s about the radiance. and the resilience. and the strength. and the melanin. and the beauty. it’s about the fact that all of that is exuded from every smile, every stoic face, every ounce of laughter - despite how inadequate i felt as a photographer. and it’s about the fact that, because of all of that, you will get it: that black love is power. that black love is radical. that black love deserves to be celebrated. and that is the point: that these beautiful, beautiful black folx shared their love with us, and my job, very simply, was to honor that.